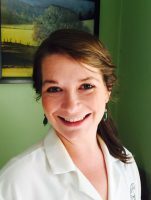 Kirby Noone is a Licensed Acupuncturist and Herbalist from Spartanburg, South Carolina. 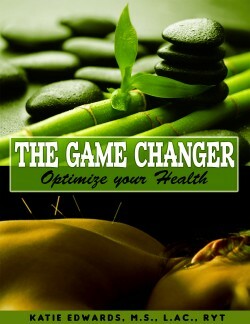 She has had personal experience of the positive effects of acupuncture and herbal medicine. After fracturing her pelvis in 2003, she struggled with pain in her low back and hips for years. Once receiving acupuncture for the first time in 2011, she realized that she wanted to pursue a professional career in the field of Traditional Chinese Medicine. She completed her Bachelor’s of Science in Traditional Chinese Medicine and her Master’s of Science in Acupuncture and Oriental Medicine from Texas Health and Science University in Austin, Texas. She was honored to be awarded salutatorian of the Class of December 2014. While studying, she developed a particular interest in herbal medicine and worked for the school’s herbal medicine pharmacy. Soon after graduation, Kirby learned that she would be expecting her first baby in September 2015. She decided to move back to South Carolina in order to pursue her career as an acupuncturist and be closer to her family. Throughout her pregnancy she became interested in furthering her knowledge in Obstetrics and Gynecology in Traditional Chinese Medicine. She strives to help women, men, and children heal naturally and maintain balance within the mind, body, and soul. She is excited to be part of such a great team of holistic medicine practitioners and looks forward to continuing to help people heal with Traditional Chinese Medicine.